This home decor project started like most of my other projects, with a bare wall and a desire to DIY. The bare wall I’m referring to is a spot right above my thrifted bench in the entryway. 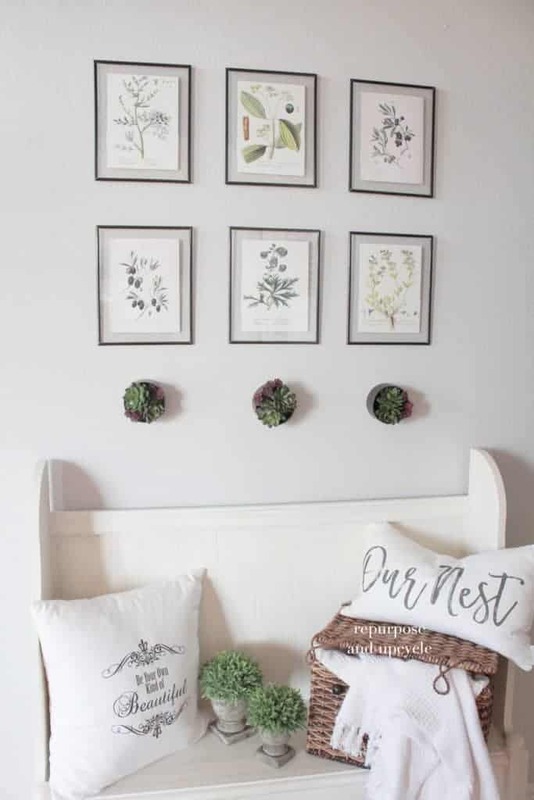 I created six DIY botanical prints and after I hung them up, I noticed that I had a small spot on the wall that seemed “bare.” I hate when that happens. 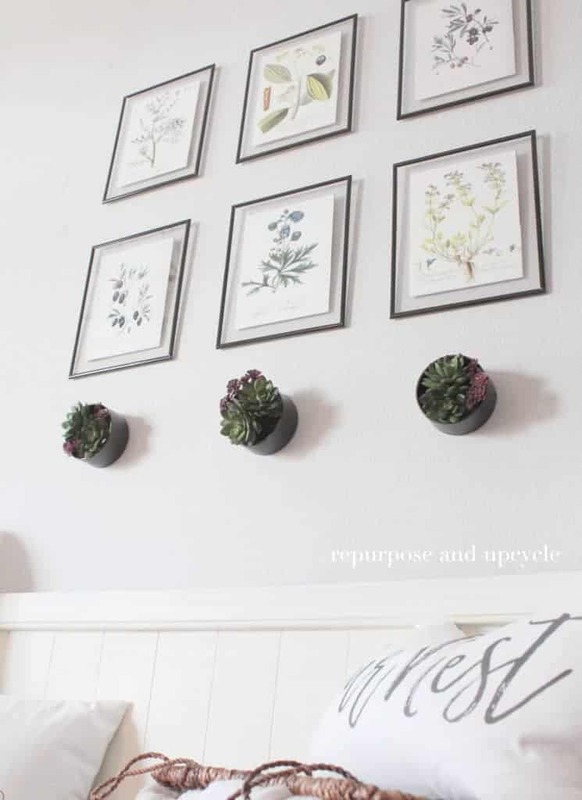 Then I got the grand idea that I would create my own DIY wall planters for indoor decor. Although this little project wasn’t peachy at times, I feel like it worked out in the end. 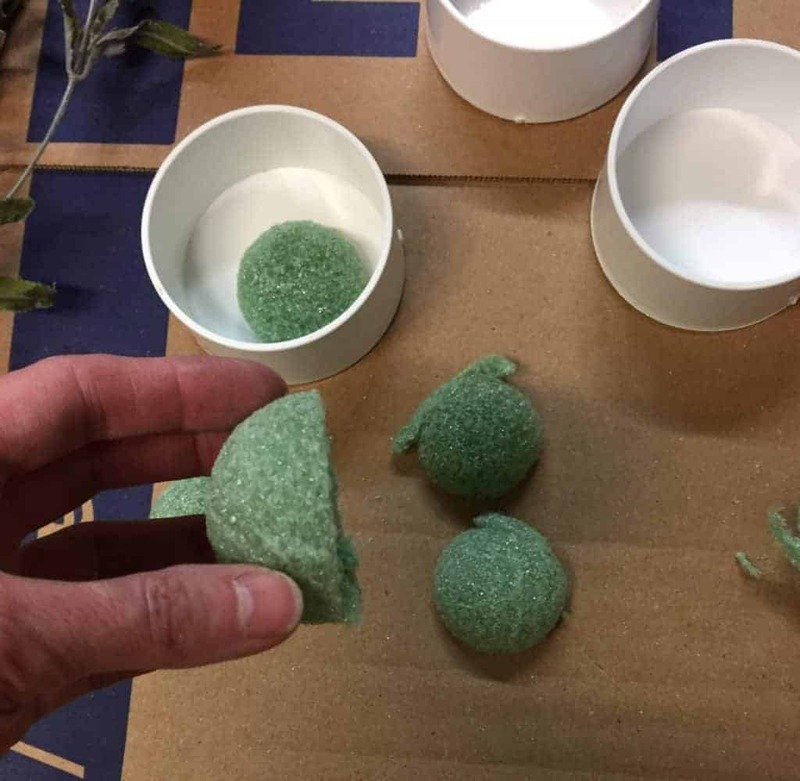 You’ll never guess what inspired this craft project. Well, if you know me, you won’t be surprised. I know I’ve mentioned it before, but a lot of my DIY craft inspiration comes from walking the isles at Lowes. Does this sound crazy? It might be but it’s the truth. 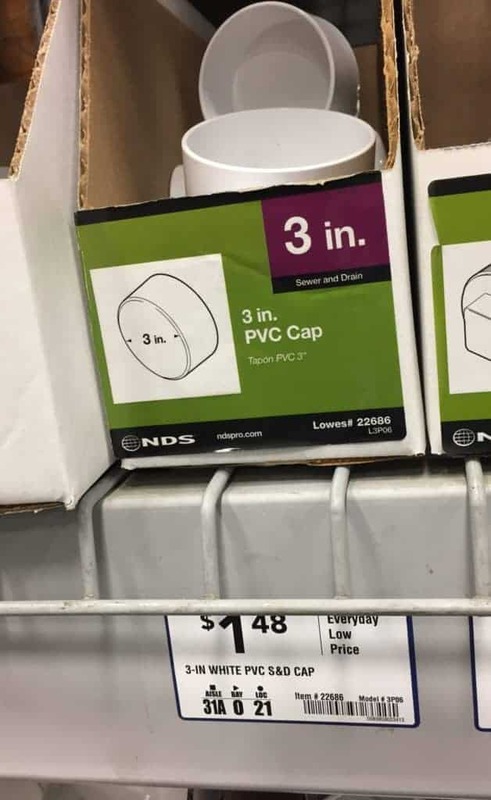 Let me show you the inspiration I found from my walk down the plumbing isle. I’ve attached my affiliate link below for your convenience. If you purchase from this affiliate link I will make a small commission, but not to worry, your price will never be affected by it. 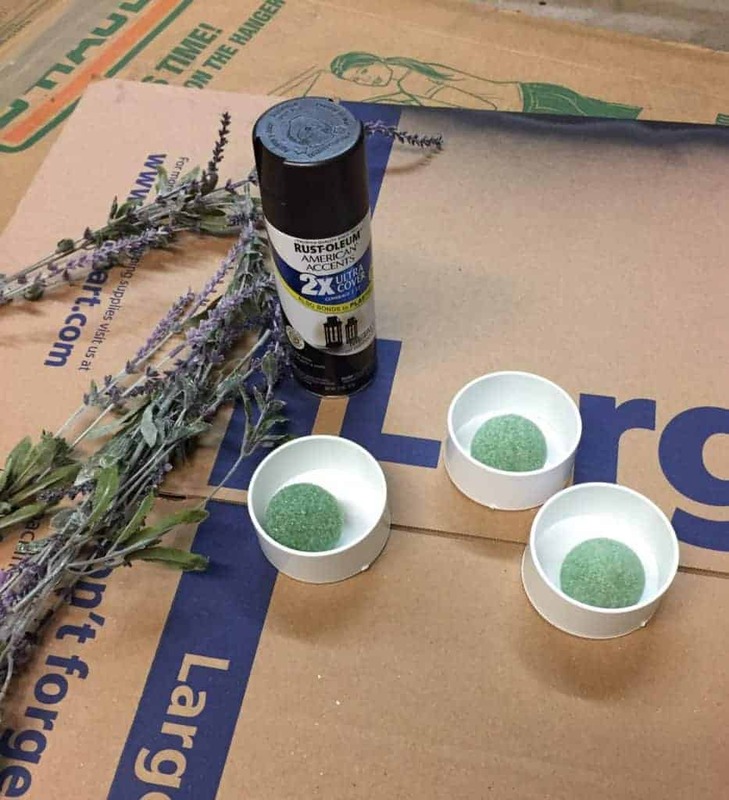 Let me share another picture and see if you can figure out where I’m going with this DIY wall planter idea. 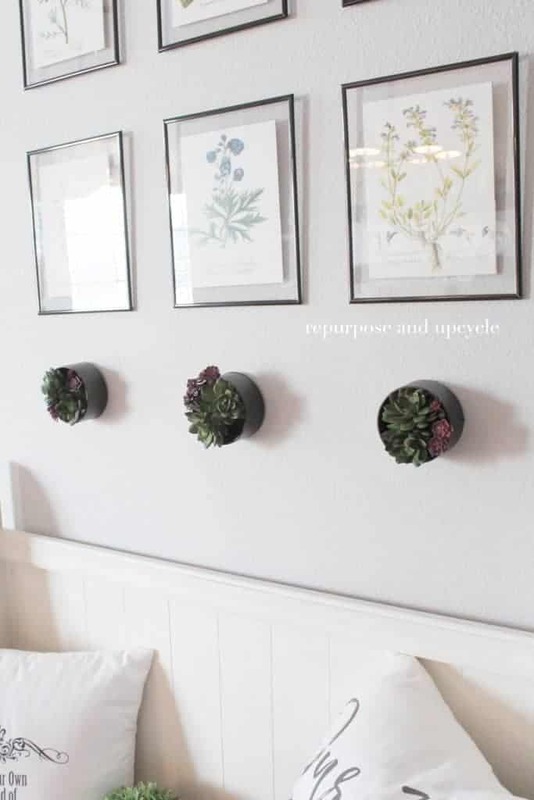 Wall planters are so efficient because they don’t take up space on the floor or the countertop. And who doesn’t love a nice piece of decor to look at on your wall? Do you see the bare spot I’m talking about under my free botanical printables? 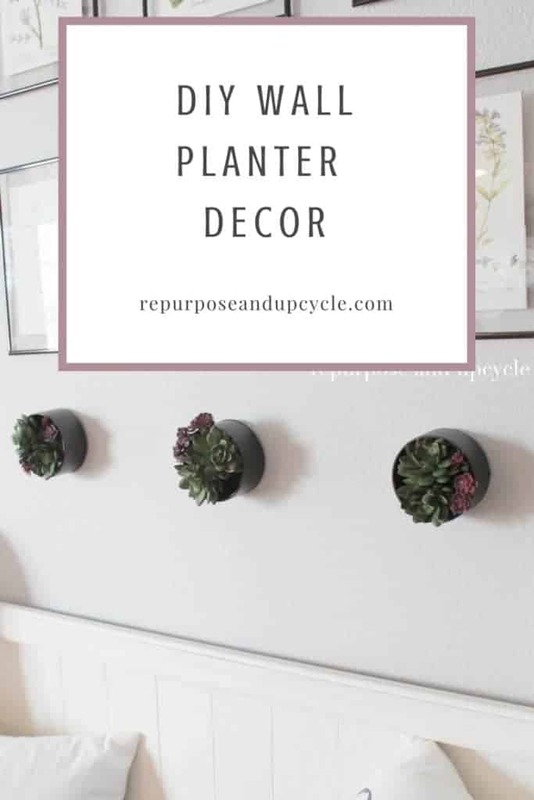 Here is where my lovely plumbing pieces will come in handy with just a little DIY wall planter inspiration. What did I do first? Gather supplies of course! 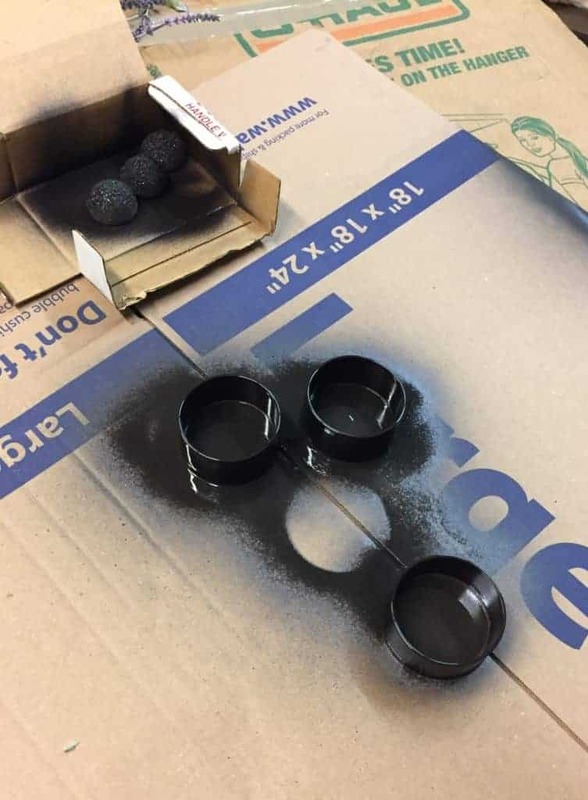 spray paint of your choice. I chose to use oil rubbed bronze because a lot of the accent colors in my space are dark. 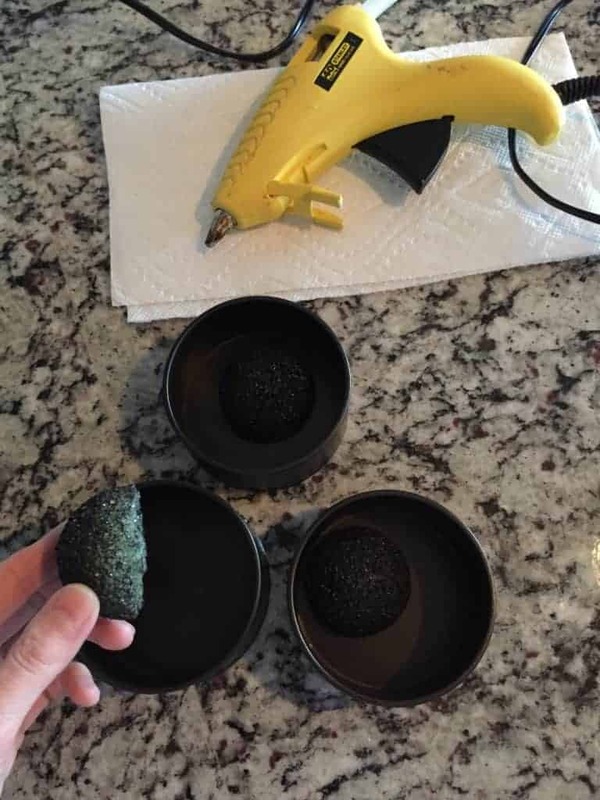 The first thing I did was to cut the foam circles in half. Then I spray painted both the foam and the plumbing pieces. Once the spray paint was dry I hot glued the foam into the center of the plumbing piece. 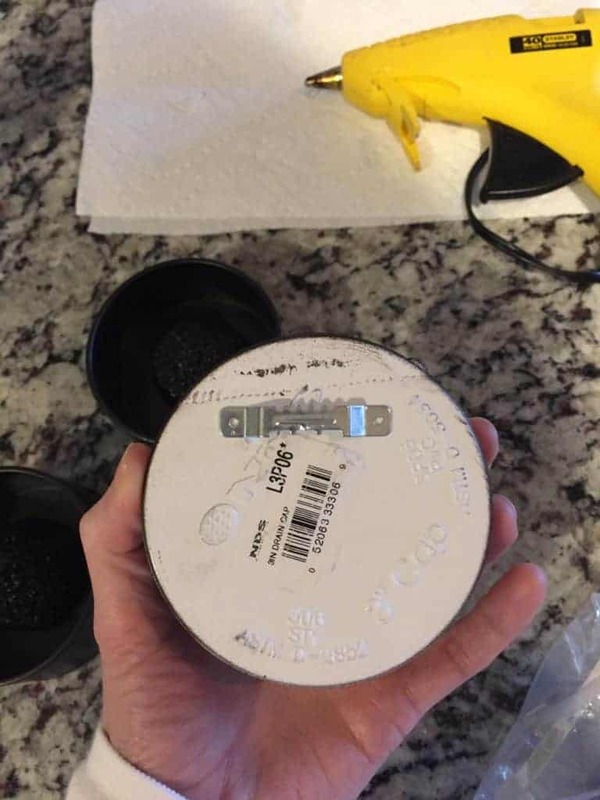 Next I flipped the plumbing piece over and hot glued a picture hanger on the back. Now it was time to add some faux flowers to my small DIY planter. 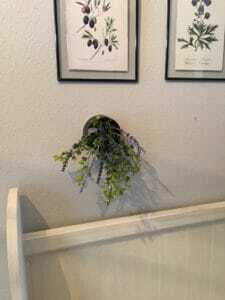 This was my first attempt at adding foliage to my indoor wall planters. Needless to say I was not happy with it at all. It’s so disheartening when I think I have an awesome idea in my head, but then after I create that “awesome idea,” it just didn’t turn out the way I envisioned it. Can anyone relate? I took all the greenery out of the foam and decided I would come up with plan B.
I love succulents but I’ve never used them in my home decor. I think I had my plan B. 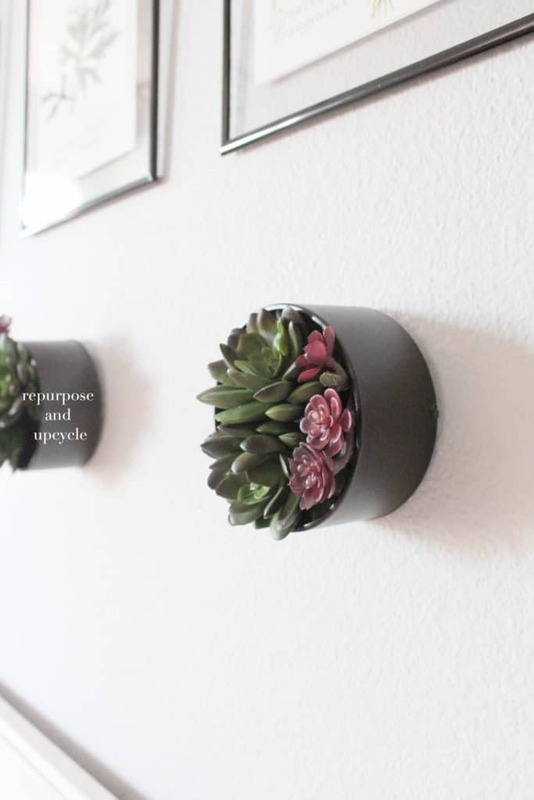 These succulents were the perfect size to fit in the base of my DIY indoor wall planter. 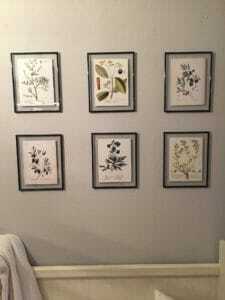 Not to mention that the colors blended perfectly with the botanical prints. I think plan B fits better with this space, what do you think? 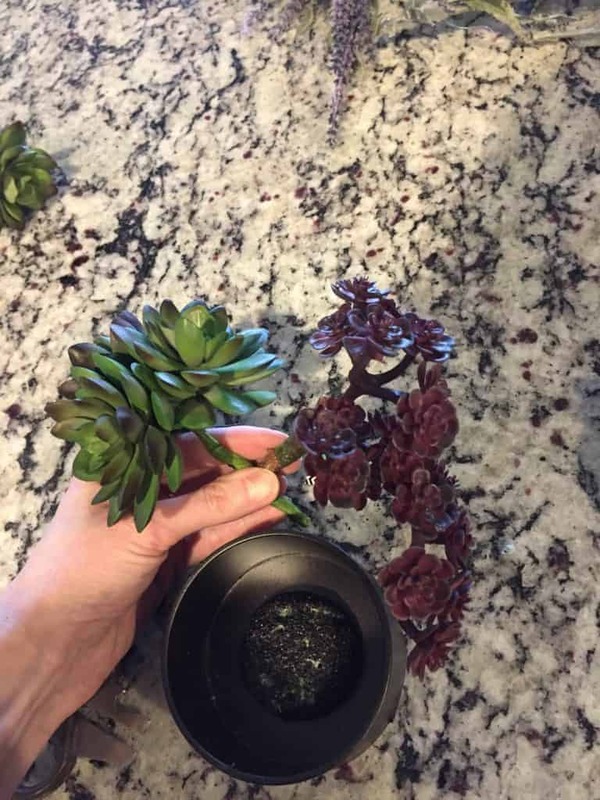 A few plumbing materials and a few faux succulents and now I have my own indoor planter decor! Thanks for sharing in the fun of my random DIY’s and home decor hacks. Did y’all like this post? I would love for you to Pin the image below to Pinterest. by the way…What do you think of that bench I created from a thrifted computer hutch?